What Should Employers Expectations Be of Their Broker in 2016? Under promising and not even delivering – What Should Employers Expectations Be of Their Broker in 2016? The simple phrase “you don’t know what you don’t know” truly speaks to the world of Human Resources and Finance today. Juggling various business functions, service providers and responsibilities, employers aren’t always aware of what they should be anticipating from their brokers. a. A recap meeting to discuss 2015 open enrollment and renewal – How did it go, what could have been improved, etc. b. A Dashboard/timeline highlighting important dates throughout the year regarding ACA/IRS compliance, special project rollouts, and ongoing strategy meetings to evaluate and adjust goals and expectations. c. Monthly underwriting reports illustrating employee utilization of healthcare and experience. d. Monthly webinars and email updates regarding Affordable Care Act, Department of Labor, IRS and other compliance-related issues. e. Benchmarking data to compare and contrast where/how you rank with competitors in your industry, state or nationwide. i. Are you paying/offering too little or too much? How does this fit into your overall business plan presently and in the future? a. Is your broker providing you with an online benefit administration platform for employee’s to access in a convenient way? Do you have technological constraints, or is English as a second language something to consider? There are creative ideas for both. b. 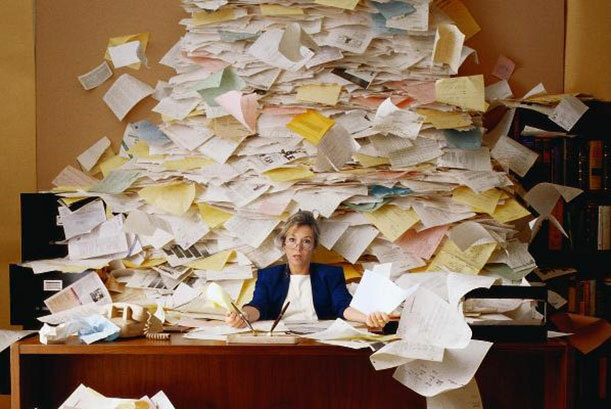 Employee Benefit statements showing the monetary value they are receiving and highlighting the generous contributions you as an employer are providing. c. Monthly employee communication materials raising awareness of various benefits you provide highlighting their value and encouraging further utilization and appreciation. Studies have shown that even when employers offer less than rich benefits, increased and effective communications actually result in a greater perception of benefit offerings and employee appreciation. d. Monthly employee communications on wellness, nutrition or other holistic health topics to educate your employees. e. If a wellness plan is in place (and it should be in some form), weekly or monthly communication pieces highlighting the wellness plan, incentives or education materials to increase excitement and utilization. a. Does your broker provide and pay for in-house COBRA administration? b. Does your broker provide additional software platforms that help HR functions like time and attendance, onboarding, or FMLA administration? c. Is your company considering an acquisition and can your broker perform an exhaustive benefit and compliance audit of the target company to identify potential cost savings or traps that could influence your bargaining? d. Does your broker provide 24/7 support for employees having claims issues or needing assistance with their health insurance? e. Does your broker provide additional HR support by providing services like ThinkHR designed to answer any and all HR-related questions, as well as provide services like sexual harassment training videos for managers required in some states? a. Exposure to the best insurance carriers and vendors? When was the last time you went to market and compared costs? Some brokerage firms enable consultants to bring the most innovative and capable partners to clients. b. Are your company contribution amounts in line with your business plan, culture and competition (benchmarking data is needed)? c. Are your health plans in need of tweaking? Are you offering high deductible plans alongside an HSA/FSA/HRA to reward employees for maintaining good health? d. Have you done a spousal surcharge audit (generally at least 10-20% of employee’s have spouses on their company plan who also have their own employer plans that they declined)? e. Tobacco Surcharge (conservatively, at least 10% of employee’s in CA are smokers)? f. Have you considered and has your broker ran an analysis for you to see what it would cost/save to offer employee’s an incentive to go onto their spouse’s employer plan rather than yours? g. Has your broker started a discussion around alternate funding options such self-funding, level-funding or graded-funding options as part of a long-term strategy to reduce costs and offer greater employer control over their benefit offerings? The list of services you should be expecting from your broker is not always the case from what you are actually receiving. With so many innovations and changes happening at a rapid pace, you as an executive cannot expect to know them all and instead must rely on outside counsel from various service providers and vendors. As it relates to employee benefits, these services above and the consultation you should be receiving, should all be seen through three intertwined lenses: lowering costs, saving time on overall benefit administration, and increasing employee awareness and appreciation. With insurance premiums and broker commissions steadily increasing each year to an all-time high, ask yourself the question: is my broker earning it? John Meister is a Benefits Consultant at Digital Benefit Advisors – Southern California is part of the nation’s largest independent employee benefits-only agency for mid-market employers. John’s passion for finding creative ways to bring value to clients has led to not only hundreds of thousands of dollars in savings, but a significant decrease in the time employers spend administrating a robust employee benefits program through value added technology platforms. Digital Benefit Advisors delivers holistic employee benefits solutions that focus on enhancing an organization’s return on investment via innovative plan designs, progressive negotiation strategies, risk management solutions, and human resources and benefits technology options. Their national footprint enables us the firm to offer unique services and highly competitive rates for clients, including access to their Private Exchange known as their Benefits Marketplace. To learn more, visit digitalbenefitadvisors.com. You can accuse fusion power advocates of being overly optimistic but never of thinking small. Fusion occurs when two elements combine, or “fuse,” together to form a new, third element, converting matter to energy. It is the process that powers the sun, and the fusion world’s marquee projects are accordingly grand. Consider the International Thermonuclear Experimental Reactor (ITER), which a consortium of seven nations is building in France. This $21-billion tokomak reactor will use superconducting magnets to create plasma hot and dense enough to achieve fusion. When finished, ITER will weigh 23,000 metric tons, three times the weight of the Eiffel Tower. The National Ignition Facility (NIF), its main competitor, is equally complex: it fires 192 lasers at a fuel pellet until it is subjected to temperatures of 50 million degrees Celsius and pressures of 150 billion atmospheres. Despite all this, a working fusion power plant based on ITER or NIF remains decades away. A new crop of researchers are pursuing a different strategy: going small. This year the U.S. Advanced Research Projects Agency–Energy invested nearly $30 million in nine smaller projects aimed at affordable fusion through a program called Accelerating Low-Cost Plasma Heating and Assembly (ALPHA). One representative project, run by Tustin, Calif.–based company Magneto-Inertial Fusion Technologies, is designed to “pinch” a plasma with an electric current until it compresses itself enough induce fusion. Read the full “Fusion Researchers Are Going Small” article at scientificamerican.com. SC Capital Partners, Inc. has just completed a $250,000 Senior Term Loan for Bravo Roofing of Brea, CA through Community Bank. 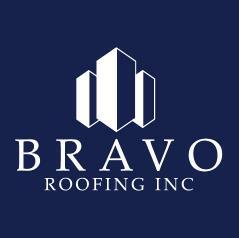 The long term working capital will give Bravo Roofing the funds it needed to hire experienced personnel to handle its large and growing backlog of commercial and residential roofing projects. This was a difficult project due to the banking industry’s general aversion to lending to small contractors given issues of percentage of completion draws and bonding. SC Capital assisted the borrower in putting together a financial package and business narrative that won over the bank. In addition, working with our preferred service provider network, SC Capital has helped Bravo Roofing improve it’s accounting, Richard Lambright & Associates, it’s employee benefits, Burnham Benefits, it’s key-man life insurance, The Henderson Group, and it’s insurance/bonding through Insurance Solutions. SC Capital Partners, Inc. has just completed a $2.3 million real estate loan for Doffo Auto Body of Santa Ana through Hanmi Bank of Los Angeles utilizing a government guaranteed SBA 7a loan. It was a complex process because the loan’s collateral covered multiple properties with sub-tenants. The financing package included several years of financial data which SCCP assisted the client in reformatting to comply with general accepted accounting standards transferring information from tax to accrual basis. Because of the complexity of the deal and the poor quality of financial reporting, the borrower had been turned down by several major banks before SC Capital was engaged. Doffo Auto was successful in acquiring the funds it needed because SC Capital went that extra mile for a client that needed both special handling and financial expertise. The principals of Doffo Auto Body were so pleased with what SC Capital was able to do, that they engaged us to help them get a new line of credit for the business, which should be funding later this month, and to refinance another commercial property that had private financing. MIFTI was founded in 2008 by scientists from the University of California Irvine. For over 25 years, these scientist have researched and refined a method of controlled thermonuclear fusion, based on Staged Z-Pinch. This concept has predicted a net gain of controlled thermonuclear fusion energy that can possibly solve the world’s energy problems. A by-product of this fusion reaction can also be used to generate radioisotpes that are used in nuclear medicine procedures worldwide. Fusion power has been making a lot of progress lately. That doesn’t necessarily mean any one approach has gotten a whole lot closer to its end goal of useful ignition and net energy production, but that many new, innovative attempts at achieving that same goal have all advanced to a point of general respectability. It used to be that there were basically two technologies that might harness and use the power of a star. Now, there are almost as many approaches as there are fusion teams in the world. These small teams are getting by on speculation by large firms and, importantly, generous angel investors. Some of the tech world’s biggest names are betting on fusion — though even these visionaries can’t decide which tech will actually come through in the end. The investors as varied as they are wealthy. PalPal cofounder Peter Thiel has backed Washington’s Helion Energy for an unspecified amount, while the just-slightly-rich Microsoft co-founder Paul Allen has poured money into Tri Alpha Energy in Irvine, California. The investment firm of Amazon’s Jeff Bezos is betting on Vancouver’s General Fusion. Others have started their own competitor, such investor Tom Darden’s startup Industrial Heat. Each of these solutions has raised tens of millions of dollars for their work. It’s not all that surprising that so many personally wealthy people would see fusion as a good place to park some cash. If successful, any particular fusion experiment could very well be the most important experiment in history — the experiment that ends scarcity. Applied widely and equally, cheap, abundant, and clean mass power could save millions of lives, and potentially billions if carbon-driven climate change continues to progress as it has. It also has the potential for one of the best returns on investment ever — investing a few million in fusion might seem like a lot, but compared with the multi-billion-dollar government budgets that led to early fission reactors, it seems somewhat paltry. The tipping point seems to be the technology. While there are certainly the aforementioned type of money-drenched government projects for fusion, things like America’s National Ignition Facility (NIF) and France’s International Thermonuclear Experimental Reactor (ITER), these teams don’t seem to be nimble enough to try the variety of ideas currently under investigation by the private sector. Some criticize smaller fusion companies for testing unproven or even disproven technology, but these companies fire back that they’ve found ways to make older technology new again. One example is the aforementioned General Fusion, which has decided to combine two historical approaches to fusion. First, they apply a strong magnetic field to contain the sample while they heat it to a plasma, but they don’t heat the plasma far enough to cause fusion. Instead, they then take this plasma and subject it to the same sort of rapid compression that “inertial” fusion reactors use exclusively, but since the sample is already super-heated, it takes less power to begin the fusion reaction. 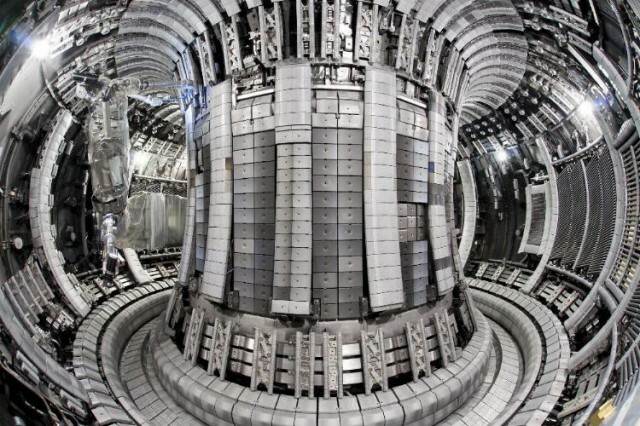 General Fusion says that their technology is “proven” in principle, and that now only engineering challenges lie between their reactor and a net output of energy. There’s no way to know if they’re right. Small tech companies like this, which will almost by definition deliver either the world or nothing at all, have to dream — and pitch — big. General Fusion’s claims are no more astute or seemingly impressive than those of Tri Alpha Energy, which recently acquired a purported “cold fusion” tech from controversial Italian inventor Andrea Rossi. Is that the ticket? Maybe. Also, when many teams are all competing for similar and highly rewarding goals, it’s not unusual for “losing” ideas or companies to get bought up by the now-flush winners, folding in all the talent and small, good ideas the rest of the industry has to offer. In other words, you don’t necessarily have to back the winning horse to see a return — but someone, somewhere, does still have the pass the finish line. 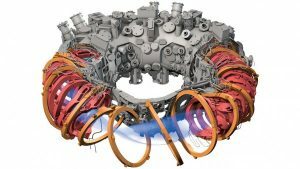 In a gleaming research lab in Germany’s northeastern corner, researchers are preparing to switch on a fusion device called a stellarator, the largest ever built. The €1 billion machine, known as Wendelstein 7-X looks a bit like Han Solo’s Millennium Falcon, towed in for repairs after a run-in with the Imperial fleet. Stellarators have long been dark horses in fusion energy research but the Dali-esque devices have many attributes that could make them much better prospects for a commercial fusion power plant than the more popular tokamaks: Once started, stellarators naturally purr along in a steady state and they are not prone to the potentially metal-bending magnetic disruptions that plague tokamaks. Unfortunately they are devilishly hard to build. To read the full story, see the 23 October issue of Science. Magneto-Inertial Fusion Technologies, Inc. (MIFTI), a Tustin-based company, and the University of California Regents have been notified by the U.S. Patent Office that a patent has been issued for the production of radionuclides used in nuclear medicine. This is a major accomplishment, and a culmination of over 25 years of research in fusion technology. It is important to note that there is a current worldwide shortage in radionuclide medicines for the diagnosis and treatment of cancer, heart and thyroid disease, etc. Gerald Simmons, MIFTI’s CEO, states that this is about saving the lives of patients who currently have limited access to the medical isotopes necessary to sustain and improve the quality of life. MIFTI’s technology can also be applied to a number of other emerging fields. To learn more go to www.mifti.com. Solving tough financials problems with smart, measurable solutions has always been the goal for SC Capital Partners, an investment banking and professional services firm located in Irvine, Calif.
That was surely the case last spring when SC Capital Partners CEO and Managing Partner Steve Fryer and his team helped a thriving Southern California company working with the physically disabled achieve its goal of continuing to help the residents of these homes. The company — Chino Hills-based People’s Care, which currently has around 35 living facilities with five to six occupants per home — was faced with a dilemma when the state of California closed a major state-owned facility in Pomona and soon, one in Costa Mesa. Through a recommendation of business associate, SC Capital Partners was brought in to find a solution. “We gathered all the data we needed and worked with them for several weeks,” Fryer said. “And we were able to come up with banks that had an interest in working with them because of the summary that we had put together.” Community Bank in Irvine understood the situation and felt comfortable because they had worked with SC Capital Partners in the past. “People’s Care needed a credit line to make improvements but they also needed to take care of all the tenant improvements and that was stretching their financials a bit,” Fryer said. “But we were able to bring in a state program that would guarantee up to 75 percent of the bank loan. In the end, SC Capital Partners came up with $5.3 million in financing for People’s Care at a low interest rate which reduced People’s overall costs dramatically. SC Capital Partners has been in existence for 12 years and the four-man team is led by Fryer and also includes, Jack Dignan, William Davey and Timothy Porter.